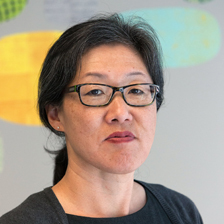 Susun Kim is the executive director of the Contra Costa Family Justice Alliance, which supports the healing of survivors of family and interpersonal violence and their family members. A 1991 graduate of New York University School of Law, Susun has been working in the fields of public interest, social justice, and interpersonal violence since 1997. She enjoys creating new projects and participating in collaborative initiatives and believes in making collective impact by working together with service providers, policy makers, and community members. Susun has extensive training and facilitation experience and previously served as faculty for national training institutes hosted by the American Bar Association Commission on Domestic Violence.